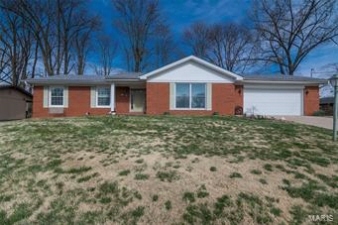 Description: Well maintained home in anderson acres! Main floor laundry/mud room area with lots of storage and 3/4 bathroom. Kitchen has been updated with stainless appliances, counters, laminate flooring and center island. Cozy family room features marble fireplace, beautiful hardwood flooring and sliding doors leading to beautiful backyard setting with mature trees and party sized patio. Very spacious l-shaped formal living and dining room with newer carpeting & cove ceiling. Massive family room in basement with fireplace and cedar lined closet. The basement also included an unfinished workshop area. Attached two car garage with opener and bumped out storage or workshop area. This home also included tons of storage space, replacement windows, pocket doors, alarm and intercom system, roof replaced in 2012, and low utilities. This is a must see!